Cybersecurity is an urgent and major societal challenge. Highly correlated with the digitalization of our societies, cyberthreats have an increasing impact on our lives. It is therefore essential to ensure digital security and strategic autonomy of the EU by strengthening leading cybersecurity capacities. This challenge will require the coordination of Europe’s best competences, towards common research and innovation goals. SPARTA is a novel Cybersecurity Competence Network, supported by the EU’s H2020 program, with the objective to develop and implement top-tier research and innovation collaborative actions. Strongly guided by concrete challenges forming an ambitious Cybersecurity Research & Innovation Roadmap, SPARTA will setup unique collaboration means, leading the way in building transformative capabilities and forming a world-leading Cybersecurity Competence Network across the EU. From basic human needs (health) to economic activities (energy, finance, and transport) to technologies (ICT and industry) to sovereignty (eGovernment, public administration), four research and innovation programs will push the boundaries to deliver advanced solutions to cover emerging challenges. The SPARTA consortium, led by CEA, assembles a balanced set of 44 actors from 14 EU Member States, including ANSSI, Institut Mines-Télécom, Inria, Thales, and YesWeHack for France, at the intersection of scientific excellence, technological innovation, and societal sciences in cybersecurity. Together, along with SPARTA Associates, they aim at re-imagining the way cybersecurity research, innovation, and training are performed in Europe across domains and expertise, from foundations to applications, in academia and industry. In sharing experiences and excellence, challenges and capabilities, SPARTA makes decisive contributions to European strategic autonomy. 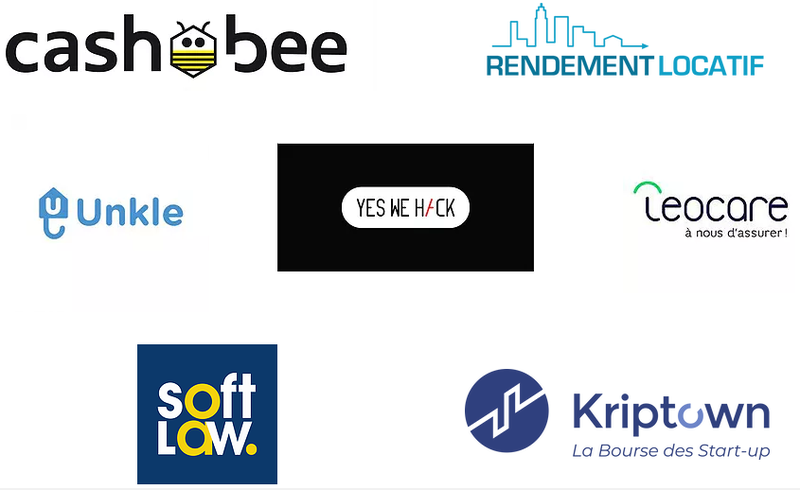 YesWeHack, Europe’s leading Bug Bounty platform, announced today it has raised €4 million from Open CNP, the corporate venture program of CNP Assurances, and Normandie Participations. This deal aims at asserting the company’s presence in France and accelerate its international development, notably in Europe and Asia. Founded in 2013, YesWeHack offers companies an innovative approach to cybersecurity with Bug Bounty (pay-per-vulnerability discovered), connecting more than 7,000 cyber-security experts (ethical hackers) across 120 countries with organizations to secure their exposed scopes and reporting vulnerabilities in their websites, mobile apps, infrastructure and connected devices. Building Trust at the core of digital transformation. La Banque Postale puts its customers’ interests above all. Through the creation of platform58, La Banque Postale asserts its willingness to strengthen its digital transformation for both its employees and customers. Cybersecurity being a pillar of digital transformation, YesWeHack is looking forward to mobilizing its community in order to improve the banking industry global security. The banking industry sees itself at a pivotal moment. The expectations of our customers but also of our employees, the rise of new disrupting techs and emerging players, require us to design a more open banking platform. With platform58, a strategic project for La Banque Postale, we embrace this change by creating a French FinTech & InsurTech ecosystem embodying our banking and civic values. We build together (start-ups, customers, partners, etc.) the bank and insurance of the future. Remy Weber, Chairman of La Banque Postale’s Executive Board. YesWeHack is delighted to be one of the first 7 start-ups to be hosted by platform58. platform58 provides support and hosting for start-ups developing solutions in the fields of banking, insurance, technology, but also finance-related services, such as big data, health and education. The platform58 incubator will offer selected start-ups (max. 10 per year) tailor-made support by experts and managers of La Banque Postale, with no equity investment and no time limit. Other actors, in particular CNP Assurances, 50 Partners1, Visa, EY, TelecomParisTech, 1000Mercis, and Startway will contribute to the success of start-ups. digital.security and YesWeHack are glad to be part of the 3 winners of the tender for Free and Open Source Software Audit (FOSSA OSS-BB). FOSSA OSS-BB’s main goal is to help improve the overall security of the Internet by focusing on free and open source tools used by Citizens and Public entities of European Union. FIC 2019: YesWeHack’s community, NGOs & CivicTech unite through a unique Bug Bounty Campaign. For this edition of FIC 2019, YesWeHack is organizing, for the first time in the history of FIC, a special event dedicated to Bug Bounty. The International Cybersecurity Forum: the European reference event bringing together all stakeholders in digital trust will take place on 22 and 23 January. This unprecedented bug bounty campaign will take place in an original space reserved for dozens of security researchers so that they can operate over several scopes, and where applicable, earn rewards according to the criticality of the reported vulnerabilities. For this Premiere, the scopes are submitted by NGOs and CivicTech projects wishing to harden their systems and thus better protect their information assets and their reputation. YesWeHack has chosen this year to help NGOs and Civictech as a priority, because many European citizens use tools developed by this sector to contribute to the common good, democracy, associative and charitable projects. The Bug Bounty’s area will welcome bug hunters who will cooperate with “program managers” from the selected projects with the support of Romain Lecoeuvre, the CTO of the YesWeHack team. The rewards will be of two types: a total prize pool of several thousand euros is planned to reward the best researchers and goodies collectors will delight some players. Sodifrance et YesWeHack renforcent leur collaboration autour du Bug Bounty pour lutter efficacement contre les risques Cyber. Sodifrance, au travers de sa marque d’experts Antéo Trust & Security et YesWeHack, principale plateforme ouverte de Bug Bounty en Europe, annoncent la signature d’un partenariat pour faciliter la détection de failles informatiques et offrir aux entreprises une réponse globale à leurs enjeux de cybersécurité. Dans le cadre de leur transformation numérique, les entreprises de tous secteurs et de toutes tailles exploitent pleinement les capacités des nouvelles solutions numériques pour accélérer leur croissance et améliorer l’expérience client. En parallèle, le nombre de cyber-attaques augmente et leurs conséquences vont en s’aggravant : perte de chiffre d’affaires, de clients, vol de données, atteinte à l’image, et désormais risques juridiques avec les nouvelles réglementations telles que RGPD. Face à ces nouveaux enjeux de sécurité, Sodifrance s’appuie sur la plateforme de YesWeHack pour proposer une solution innovante de services en cybersécurité. Elle permet aux entreprises de toutes tailles de mieux maîtriser le niveau de sécurité de leurs applications et environnements IT. « Nous souhaitions proposer à nos clients une offre complémentaire aux audits de type Pentest ou Red Team » indique Hervé Troalic, Directeur de l’offre Sécurité de Sodifrance. Entreprise de Services du Numérique créée en 1986, Sodifrance compte plus de 1350 consultants répartis sur 14 implantations en France. L’offre de services se décompose en 6 grands métiers : le conseil technologique, la transformation numérique, le Data Management, la modernisation de SI, les services pour les applications et les services d’infrastructure. Sodifrance assure la transition entre les SI historiques et les nouveaux modèles IT, permettant aux organisations de toutes tailles de renforcer leur compétitivité et collaborer plus efficacement grâce aux solutions innovantes centrées sur la mobilité, la sécurité, le Big Data et le Cloud. Avec des bureaux en France et en Suisse, YesWeHack est la première plateforme européenne de Bug Bounty en termes de nombre de clients et de nombre de hunters, conforme aux standards de sécurité et normes juridiques européennes.